Ailsa of <Where’s my backpack>Has this week chosen a subject that is integral to travel. Art is all around us: even underground, go see Ailsa’s photos of a NYC subway. Most towns have art galleries and we always search them out. Then there is art and craft shops and galleries. Sculptures, murals, mosaics, creations large and small to gaze at and photograph. But I consider the greatest art of all is the stunning displays that nature presents us with. We try to capture that beauty in our photographs to bring the memory of places we have visited home with us. The great artists have left many paintings for us to admire. When in Adelaide we went to Hahndorf, a short drive into the Adelaide Hills, to see the “Cedars” home and studio of the great Australian artist Hans Heysen. 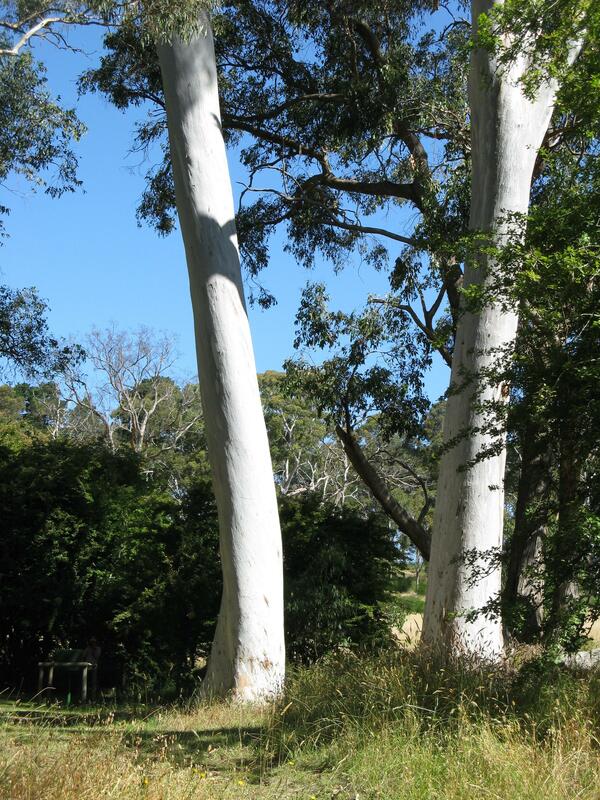 He has brilliantly combined the majestic beauty of the Australian gum tree into his works of art. 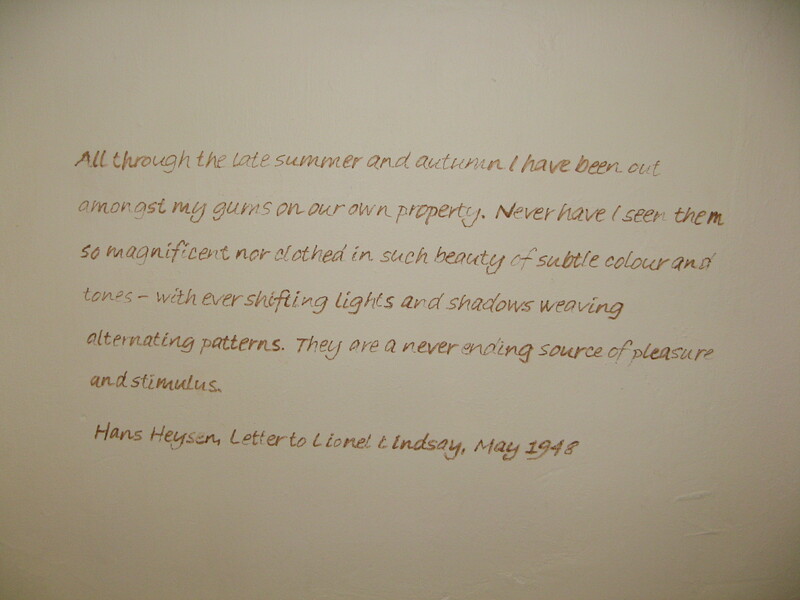 The house was as he left it, full of his paintings and drawings. (click on this link to see more of Hans Heysens beautiful paintings, he was a very prolific artist)It is now maintained by the family. The garden was a haven of peace, then we walked across to his studio set among the magnificent gums he loved and painted all his life. 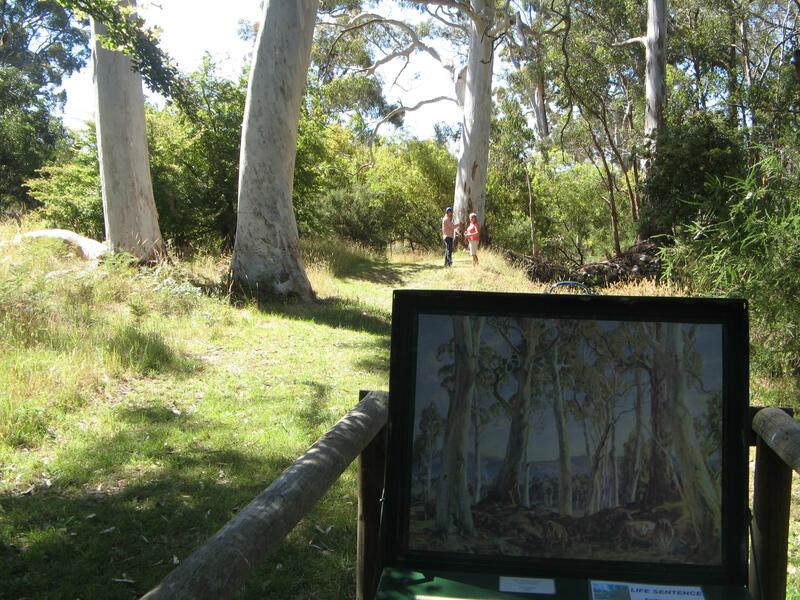 Copies of the original paintings were positioned in front of the actual gums in the setting that he painted them. i’m glad that jack pointed us to this post; as always, it’s beautiful and shows your creative eye, and you’ve made me wistful to be there! the quote is lovely too. thanks amiga! It is almost 3 years since I saw those gums and paintings but they remain one of my cherished memories of our trip around Australia. That is the beauty of blogging it gives me a permanent record of those moments. Thanks for introducing me to the work of Hans Heysen, pommepal – I hadn’t heard of him before. What a fabulous idea placing copies of his work in front of the vistas he painted. 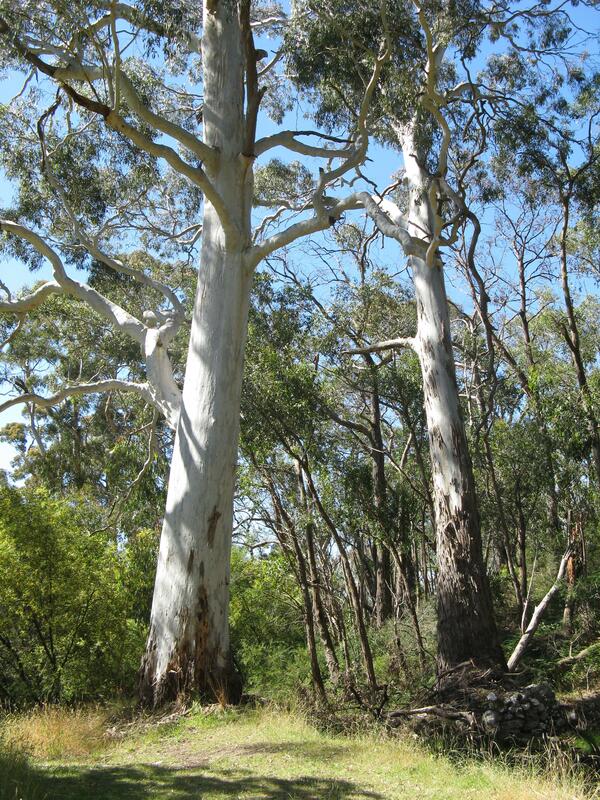 Those gum trees are pretty spectacular. His paintings of Aussie gum trees are almost spiritual and are great Aussie icons.